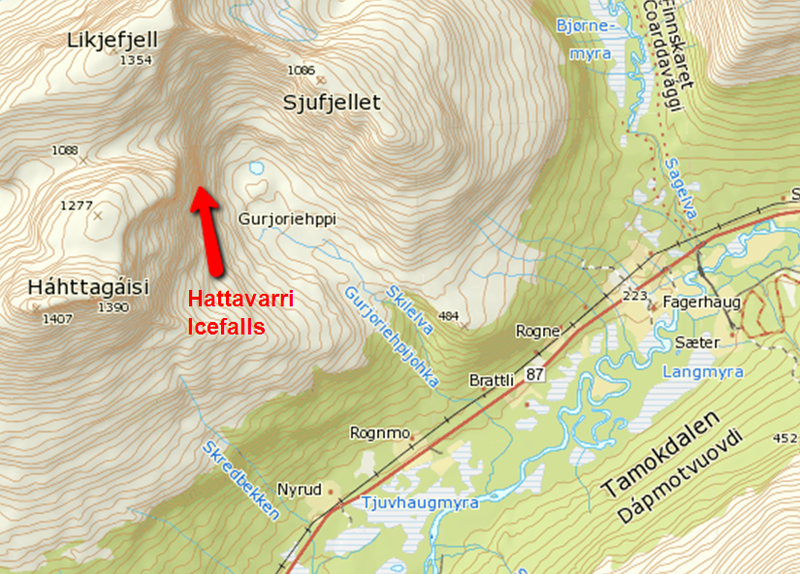 The Hattavarri Icefalls are located further along the Tamokdalen valley and are not visible from the road. As of 2011, only one route has been climbed here. 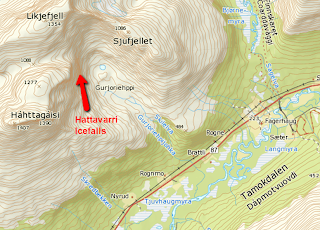 NB: the east-facing slope below the icefalls, which you have to traverse to reach them, is at an angle prone to avalanche under adverse conditions. Many thanks to Aadne Olsrud for bring this area to our attention! The four routes can be seen below. 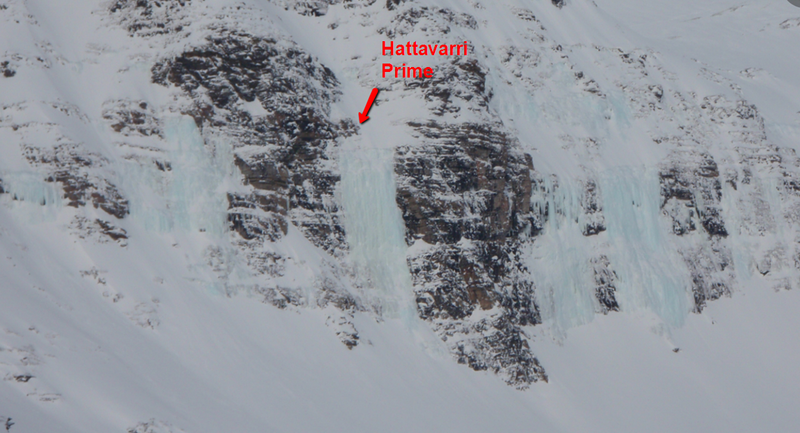 The marked route, Hattavarri Prime, is WI5, 90m. Hattavarri Prime from Jim on Vimeo. These climbs look like fun!! Have any of the other ones been climbed yet? I am afraid I have absolutely no idea. They would indeed be fun though.